Poke symbols are simply small images of a hand with a finger pointing and the name of the person who sent the poke to you. If you have been poked, the image will show up on your home page. Only you can see the poke once you receive it. Depending upon your notification settings, you may also receive a notification informing you of the poke. In addition to the standard poke, Facebook also has a poke app that allows you to send a message, photo or video that only displays for a limited amount of time such as 1, 3, 5 or 10 seconds. The recipient must also have the poke app on their phone, and these pokes cannot be viewed or sent from a desktop. Download the app onto your phone. Log into your Facebook account in the app. Confirm that you want to use the app under that name. Type in the name of your friend or select a name from your list of contacts. Type in your message, and select a photo or video. If you want to add text to a photo or video, tap the screen and hold, and then type in your message or draw on the photo. Select how long you want the message to display. To view a poke you have received, just tap and hold the message, photo or video until the time runs out. Removing your finger from the screen will cause the message, photo or video to disappear. Once it’s gone, it cannot be viewed. Keep in mind that while pokes disappear after the time limit, they are still retrievable from Facebook for 90 days. If a friend snaps a screenshot of your poke, Facebook will send you a notification by flashing an icon next to the poke app on your home page to let you know. 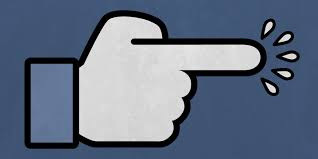 Facebook recommends contacting the friend and asking him or her to remove the screenshot directly if you do not wish to have it displayed. Who follows me on Facebook? Set up a Facebook account. How to Deactivate Facebook - Method That Works!! !